Any items I review are products that I’ve usually bought myself. If this is not the case I will also provide full disclosure within the post. I aim to be honest and fair in any reviews I include on Running Mum. 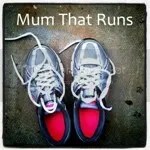 Occasionally on my blog I will write posts around health and musculoskeletal injuries related to running. While I am a qualified Physiotherapist with over ten year’s experience I would always recommend that anyone who has an injury attends a full assessment with a registered Physiotherapist or musculoskeletal practitioner, NHS or otherwise. I also blog about my training and nutrition which have been tailored to my goals. If you have a specific race or challenge in mind then please seek out the help of a qualified coach, personal trainer or dietician/nutritionist! Amateur runner, fuelled by cake and real ale.